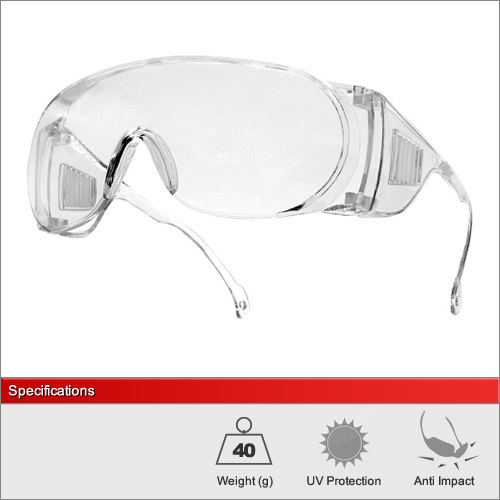 The budget cover spec is certified to EN166, the European safety eyewear standard and includes vented side shields to help prevent misting. They are designed to fit over the top of most prescription glasses and so make them ideal for schools when they are returned at the end of lessons. They are also very popular as a low cost visitor spectacles when giving tours around the factory or construction site. Remember that this model does not afford the more advanced features such as anti-scratch and anti-fog lenses. 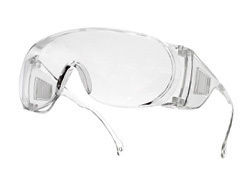 For a full explanation of European standards in safety eyewear, including how to interpret the frame and lens markings, please see our dedicated Standards Advice Section. We have a single lens available in this model. Please see our more advanced models for additional lens options. For a full explanation of the different lens types and their ideal usage please see our dedicated Lens Advice Section.